The inner bark of slippery elm, a tree native to North America, is a traditional herbal remedy for various health conditions. Research on the substance is scant, reports the University of Maryland Medical Center. When consumed in supplemental amounts, slippery elm does not provide much nutritional value, but the inner bark can be made into a more nutritious porridge. The UMMC encourages taking herbs only with the supervision of a qualified health care provider. The main beneficial component of slippery elm in herbal remedies is mucilage, made of the carbohydrates hexose, pentose and methylpentose. This substance becomes a slick gel when mixed with liquid, creating a soothing coating for the mouth, throat, stomach and intestines, explains the UMMC. Mucilage could make slippery elm useful for sore throats, coughing and heartburn. Slippery elm consumption also leads to increased mucus secretion in the gastrointestinal tract, which may have protective effects against ulcers and excessive acidity. Slippery elm inner bark contains many nutrients, including several types of carbohydrates, fatty acids and plant sterols, known as phytosterols, notes the Memorial Sloan-Kettering Cancer Center. Some carbohydrate components in slippery elm include galactose, galacturonic acid and glucose. Phytosterols include beta-sitosterol, shown to be helpful for lowering cholesterol and for reducing symptoms of an enlarged prostate. Fatty acids in slippery elm include oleic acid, a type of essential omega-9 fatty acid, and palmitic acid. One typical supplement dosage can contain approximattely 1,480 mg slippery elm, with 5 calories, 1 g of carbohydrates providing 1 percent of the Daily Value, and 1 g of fiber providing 3 percent of the DV. Slippery elm supplements do not contain a high enough level of other nutrients to list them on the label. The inner bark of slippery elm, however, can be made into a porridge by heating it with water, providing more of the nutrients found in this substance. An article by the editors of the Jan.-Feb. 1977 "Mother Earth News" calls slippery elm an old-time survival food, explaining that George Washington's Revolutionary War soldiers once spent 12 days eating little more than slippery elm porridge. Slippery elm may improve symptoms of inflammatory bowel disorders such as Crohn's disease and ulcerative colitis not only because of its mucilage content, but also because of antioxidant effects. The fiber content of slippery elm may decrease the time it takes for food to travel through the digestive system, allowing the fiber to absorb toxins as well as fluid, and to act as a bulk-forming laxative. Like willow, its bark has been used for analgesic purposes. Slippery elm shows antitumor activity in the laboratory, which may be due to its fatty acid content, as noted by the MSKCC. 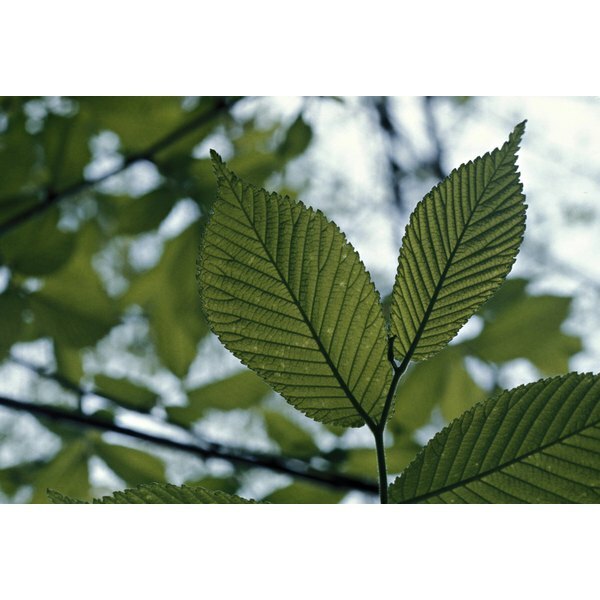 Slippery elm is available commercially in tablets, capsules, lozenges, extract and powder. The standard dosage, according to the UMMC is one 400- or 500-mg capsule three to four times per day for up to eight weeks. For tea, add 2 c. boiling water to 2 tbsp. slippery elm bark powder and steep for three to five minutes. Drink the tea three times per day.